After purchasing a hosting package, an email containing your login details will be emailed to the account holder. 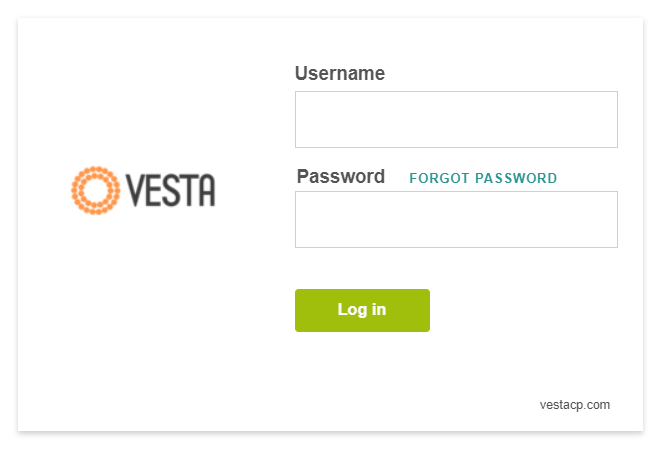 These details are needed to login to your VestaCP control panel via a web browser. In the Username field enter your username.